The perfect PERSONALIZED "Letters to Our Baby Boy Journal" Brown, Blue & Yellow Journal Notebook! 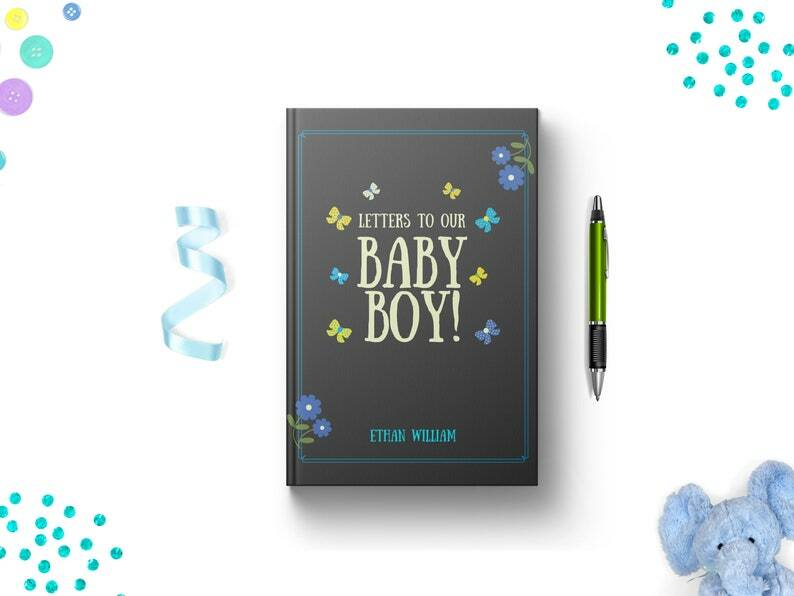 Looking to write thoughtful messages, advice, memories, and love letters to your baby boy? With its elegant and beautiful design, this Blank Journal Notebook with Lined Pages features the words "Letters To Our Baby Boy" that is the perfect baby keepsake gift from a mother and father to son to share all the special moments you witness as they grow and change. Letters To Our Baby Boy Journal offers parents, especially from mom to son, a unique way to send love, support, and advice to their son. Use this journal book to capture all of the moving, proud or funny moments throughout your son's childhood while they are still clear in your mind. Write a personal letter to your son on a regular basis to share memories, love, and words of wisdom. One idea is to make writing a letter to your son an annual tradition where you write a letter every year on his birthday. Or write your thoughts for your baby son on a regular basis as you watch him grow. Makes the perfect, personal gift for any parent, baby shower gifts, 1st birthday gifts, new births, birthday party gifts, a mom to be gift, or any other occasion that is special for celebrating your son. What special messages would you want to share with your baby son? * Features the inspirational quote "Letters To Our Baby Boy" on the brown, blue and yellow cover.